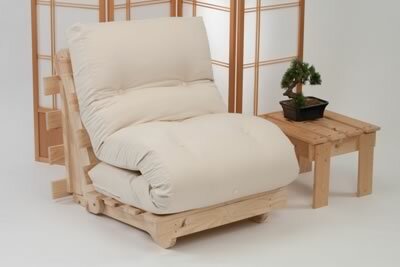 Home / Futon Mattress Choice / Monk Futon – Traditional futon bed roll. The classic ‘go anywhere’ roll up futon mattress, we’ve sold these for over 15 years and they’re still going strong! Our most authentic, traditional, floor futon. The Monk is ideal if you need to pack up your bed and go! 2 layers of traditional woolfelt with a layer of pure lambswool on the top and bottom, all covered in Natural cotton drill and buttoned with felt mattress tufts for comfort. Used as a bed system on the floor or a flat surface, used by many as extra bedding. Rolls up, using velcro fasten straps and easily stows away. Hugely popular. Also used on top of another futon for extra comfort. Many are purchased for use in Shiatsu & Thai massage. We offer 2 widths - 3' (90cm) and 4'6" (137cm) and they are approximately 2.5" to 3" (6.5 to 8cm) thick. 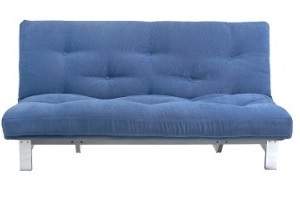 Only available upholstered in Natural Cotton drill, using non-protruding felt mattress tufts. 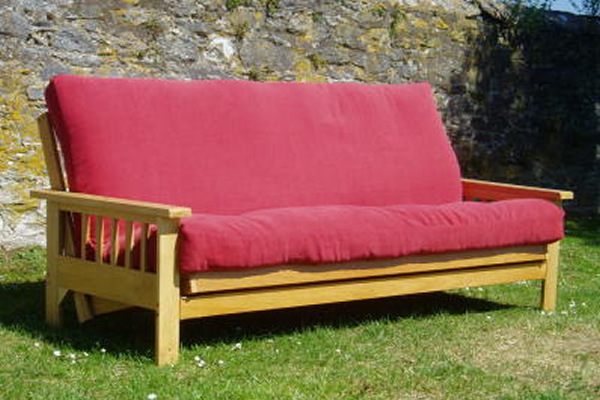 Suitable as a 'roll-up' guest bed, or relaxation / exercise mat. We recommend the use of our Morpheus mattress protector for these futons, especially if they are having regular use. In stock for a quick delivery. Delivery cost Mainland UK £Free.